We are getting a boy yellow lab in August and we already have Maggie our, yellow lab. My Mom wants puppies! Squeeee! Oh my gosh Jaclynn! I expected it was a true story…that’s why I asked how old Annika was supposed to be LOLOL! 😉 Sneaky of me, right?! Congratulations!!! Ella is precious!! So adorable, bet you can’t wait to cuddle her. 🙂 I’m so happy for you. When does Ella move in? Awwww, she’s so cute! What kind is she? (I’m assuming a lab like in the story?) Congrats, I’m excited for you! CONGRATS! She is so adorable! My dog is already 5! I love how your new photo story is a true story, it makes me enjoy it even more. Awww! She is so cute! Congratulations, I love the name you picked. Congrats!! 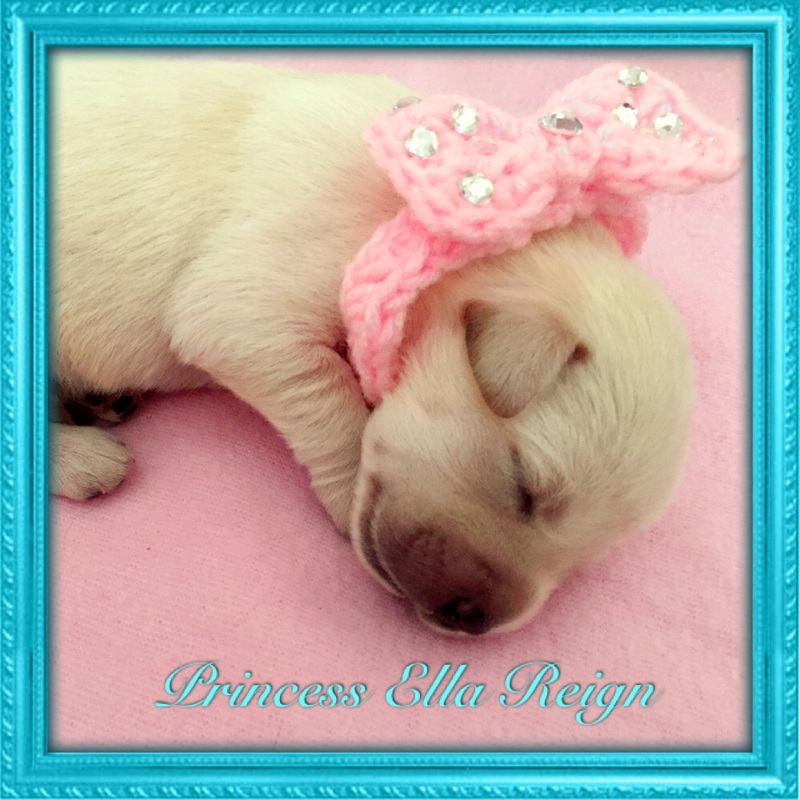 Princess Ella is ADORABLE ♥ I’m trying to convince my mom to let me get a puppy . . . perhaps if I show her this picture it will melt her heart! Yeah Loren! You can get one of ours!!!!! OHMIGOSH!!!! That is soooo aweosome!!! That’s so cool that you based a photostory off of the real story!! So cool!! Omg! No offense, but I totally guessed that! I was reading it, and I was like, this sounds so real! And wouldn’t it be cool if it were since her dog died lately? It will be hard to let go, I wish my cat was a kitten again! Yea. I wish there was like, you can have a puppy or dog. Always a puppy! Ooooh!! YES!! I’d have a million puppies and maybe one dog LOLOL! Oh my gosh, YAY! 😀 That is so exciting!! Ella is too cute! Oh my goodness! I can totally see why you are excited- I’m super happy and I’m not even getting her! LOL 😉 What a cutie! What is her breed?